Basically this is a neat little compact where the foundation is "trapped" in this cool little sponge (that has 800,000 pores by the way, not that you care). When I say foundation, I mean BB cream, because essentially that's what it is if you ask me ; creamy and hydrating, light coverage, benefits for your skin. Again, as mentioned, the trend started in Asia, made popular by brands like AmorePacific and Laneige. 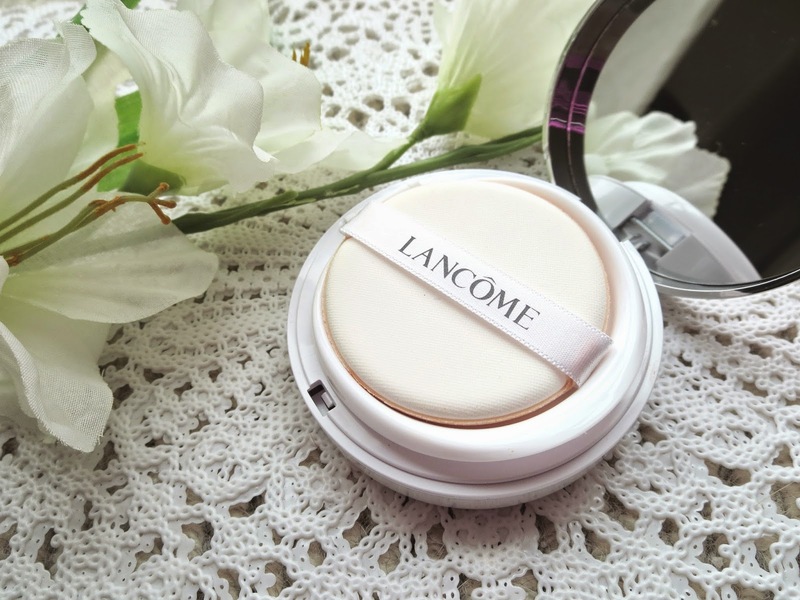 I've never tried one before, but I'm kind of bummed that unlike it's precursors, the Lancôme one does not have SPF. That being said, let's focus on this Miracle Cushion. It comes in 11 shades ranging from fair to quite dark, So that's exciting and gives it an advantage over the Asian versions. It retails for $46.50/56$CA, which is a fair price for this category it seems. Let's see it in action shall we? Finish : 4/5 This is by far the most natural looking foundation I've ever tried. Probably because it's hydrating and light coverage? It's quite dewy though, so for my combo skin I prefer to set it with powder which takes away from the initial results...But watcha gonna do? Coverage : 4/5 This has fairly light coverage, but somewhat buildable. It's really just enough to even things out a bit. I don't mind it cause it works great with concealer but in general I like a closer to medium coverage. Color match : 5/5 This is the perfect match for my skin. I use the shade 140 Ivoire N and I have a feeling it's pretty easy for all to find a good match! Performance/Longevity : 3/5 This is by no means a long lasting foundation. But I guess the whole concept is you carry the compact for touch ups? But I'd rather not constantly be touching up, you know? 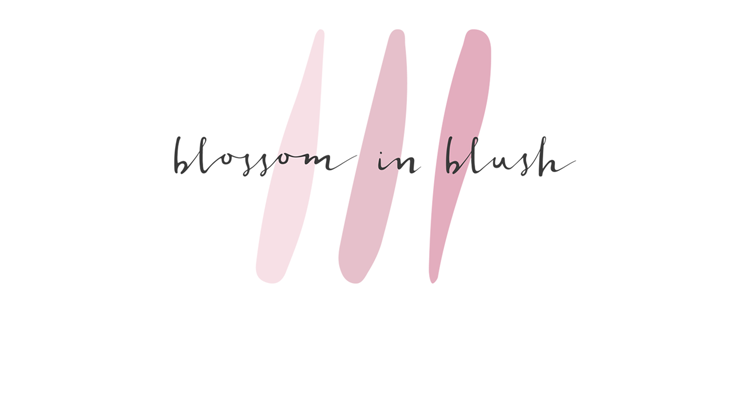 But, with blotting and reapplying it never ends up looking patchy or cakey, stays looking nice, so there's that. If YOU got time for that. Price : 2/5 Maybe I'm being a little harsh...But I've been having such impressive results with cheaper foundations that I can't justify spending that much on a foundation. If I was completely wowed (like the Bobbi Brown Skin Foundation), I wouldn't even mind spending more, but I'm not in love with this. Price is all about overall value not just how high or low the price tag is. 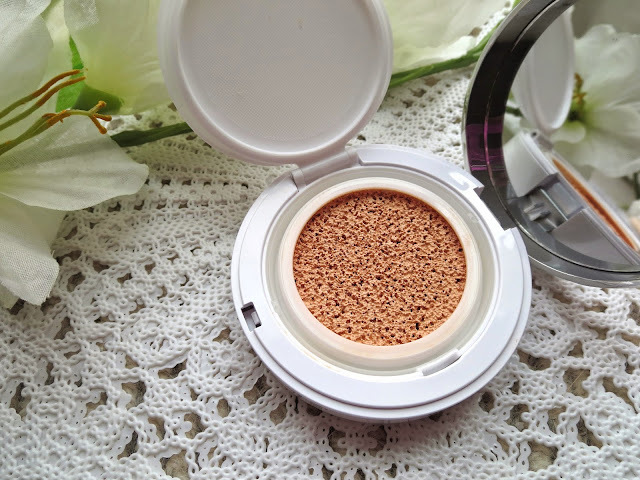 What I like about it is it's incredibly natural looking, it offers somewhat buildable coverage and it's convenient for on the go and it doesn't break me out. What I'm not crazy about is it doesn't have SPF (not that I need it in my foundation, but with this whole concept, you'd think there would be? 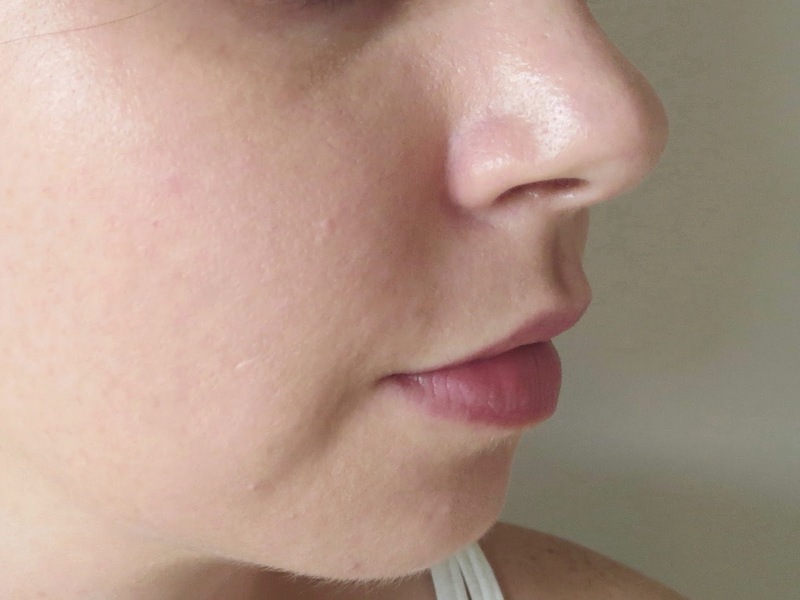 ), it's not ideal for my skin type (combo and getting oilier), it doesn't accentuate my pores but it also doesn't blur them out, and the sponge isn't actually my favorite to apply this foundation, which sorta ruins the whole concept? I mean, I like it fine with the sponge, but prefer a dense kabuki brush. I have more foundation reviews coming up, so stay tuned!